In 2016, solar power generation surpassed employment numbers reached by coal, gas and oil resources. The solar generation workforce actually increased by 25% between 2015 and 2016 to a total of 374,000 employees. In comparison, according to the Department of Energy’s “Energy and Employment Report for 2017“, a combined total of electrical generation jobs in the coal, oil and gas industries amounted only to 187,117. Currently, solar employment accounts for 43% of the national electric power generation workforce. Fossil fuel employment now only accounts for 22% of that workforce. Out of new power sources available, solar maintains the largest portion of the national workforce, followed by natural gas and then wind power, which has seen a 32% increase in the workforce over the course of one year. At the same time, coal generation has seen a sharp decline, decreasing by 53% between 2006 and 2016. In comparison to this, natural gas generation increased by 33%; and solar generation has grown amazingly by over 5000%, amounting to a total of 28 million MWh. This solar growth also only includes utility-scale facilities. “In fact, between September 2015 and September 2016 alone, distributed solar photovoltaic generation increased 35% nationwide, while estimated total solar — both utility-scale and distributed generation — increased by 52% across the country,” the report said. Total electric power generation jobs now amount to over 860,000 positions, which is a 13% increase from the previous year, and there is an expected 7% growth predicted for the next year. A large portion of the new jobs being created belongs to construction positions for building new solar generation capacity. Energy-related activities such as these contribute to other construction jobs representing more than 10% of all national construction employment. According to the fifth installment of the Solar Jobs Census, in 2015, the solar power generation industry created a total of 31,000 jobs, which resulted in a growth rate that far surpassed any other related industry. For that year, installation and maintenance of solar power currently held about 173,000 jobs. 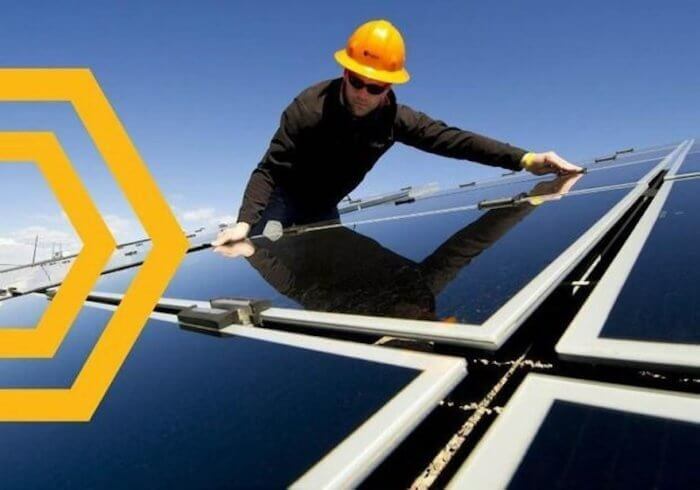 Currently, there are now more than 705,000 jobs related to solar power generation, and since the Solar Jobs Census in 2010, the national solar industry workforce has increased by 86%. The Department of Energy’s report helps to show how national energy generation is shifting towards new resources available. It shows a sharp increase in low carbon alternatives for fuels, as well as a small transition from coal-fired plants to natural gas ones. “This transition has required significant build-out of new power generation facilities and technologies in the United States. According to the Energy Information Administration, electric generation technologies are expected to add over 26 gigawatts (GW) of utility-scale capacity over 2016,” the report said.